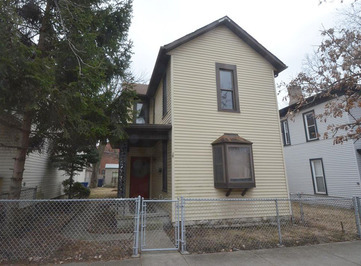 A GREAT INVESTMENT OPPORTUNITY in the easy to rent South Campus / OSU area, just steps to High St, south of South Campus Gateway. THREE ADJOINING PROPERTIES! A GREAT INVESTMENT OPPORTUNITY in the easy to rent South Campus / OSU area, just steps to High St, south of South Campus Gateway. THREE PROPERTIES - beside each other - can be purchased separately or in combination. Four unit multi-family (four one-bedrooms with 3 baths - two units share one bath) at 51 McMillen, and two single families at 45 McMillen and 57 McMillen. All in need of updating. The multi-family includes a Two Car Garage.